Online ticket sales for our 2019 show will be available in May 2019. Online Ticket Sales close two hours before each show. Tickets ordered online will be available at will-call one hour before curtain. All seats are assigned -- there is no open seating at our performances. Our online ordering system does not allow for selection of specific seats at this time. 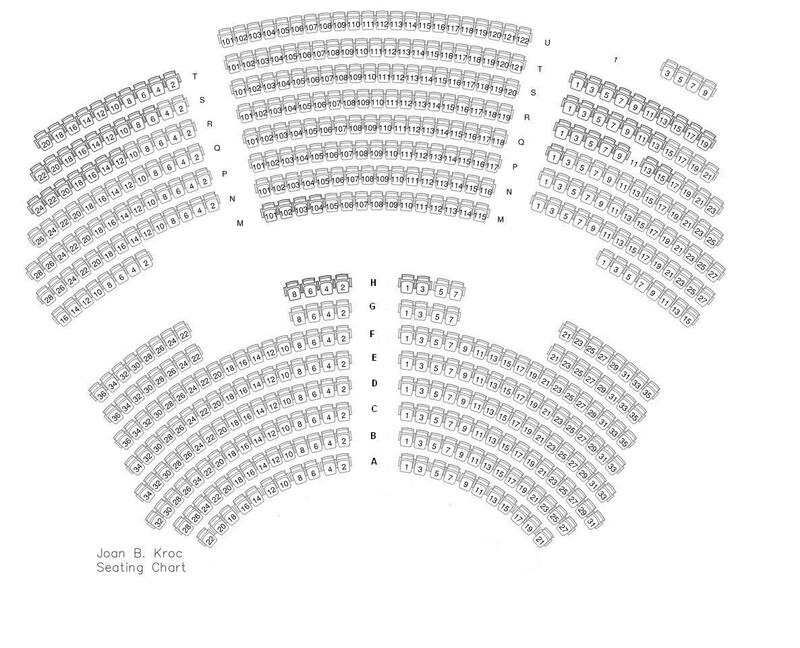 Instead, we carefully select the best seats for you based on your preferences below. Fortunately, every seat at the Kroc Theater is a great seat! We do our best to select the best tickets available that match your seating preference, but availability is sometimes limited, and we cannot make any guarantees. All tickets are donations and are non-refundable. We appreciate your support of the arts! If you have a coupon code, you may enter it at checkout.